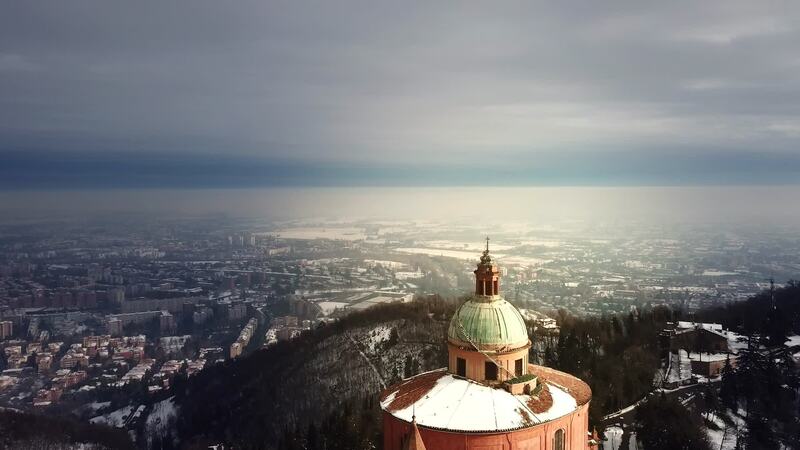 The Sanctuary of the Madonna di San Luca sits on top of the hills in Bologna, the largest city in the Emilia-Romagna Region of northern Italy. Built in the Baroque style and opened in 1765, the site was home to a different church or chapel for over a thousand years before the current church was commissioned. Drone pilot enricocif does a splendid job of showing the unique and historic cathedral from above in this aerial piece, which also features footage of the nearby Oratory of Saints Cecilia and Valeriano.